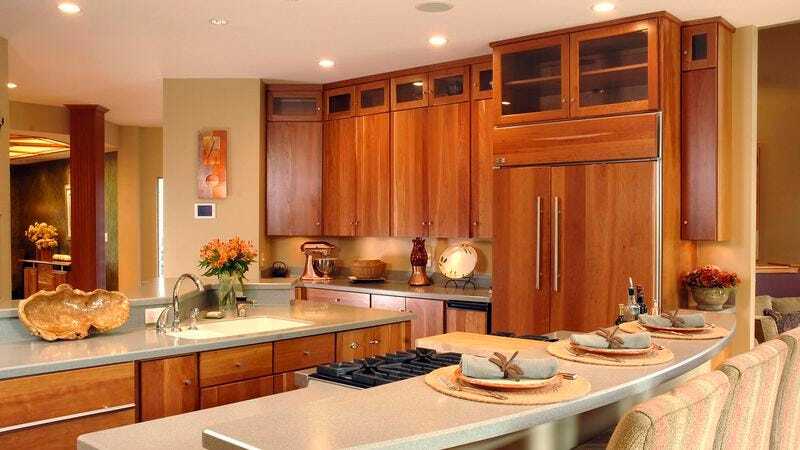 MCLEAN, VA—Acknowledging they had trouble locating the appliance at first, guests of local couple Steven and Diane Bazelon reported Monday that the two are apparently wealthy enough to have the type of refrigerator that blends into the kitchen’s cabinets. “I knew Steve and Diane had some money, but when I noticed that the cupboard I was looking at was actually a fridge, I realized they were even richer than I thought,” friend and recent houseguest Sam Dockery said, noting that the refrigerator contained two neatly arranged rows of Fiji water bottles and that the kitchen had its own pretty big flat-screen TV. “Not only that, but their bathroom has a shower with one showerhead on top and two on the side, and a sink that’s just one of those big bowls resting on top of a pedestal. They’re loaded.” Dockery added that he should have known the Bazelons were that well-off when he pulled into their circular driveway.